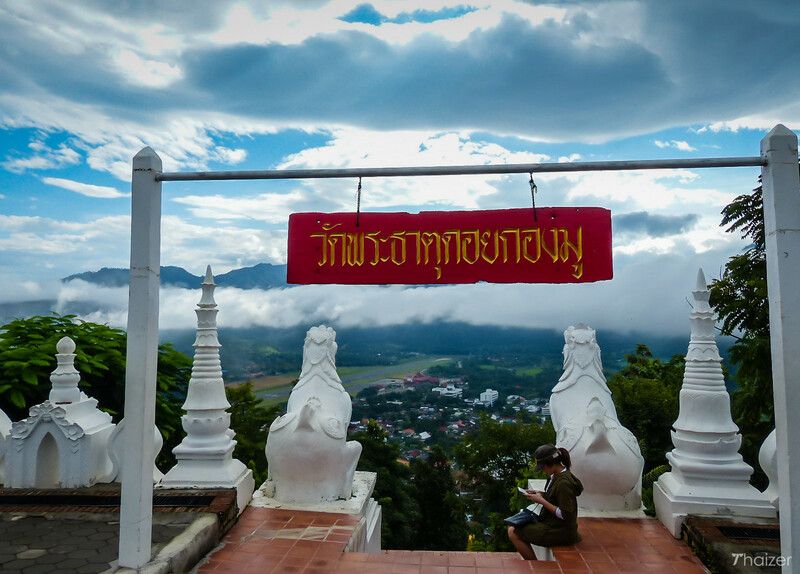 A visit to Mae Hong Son isn’t complete without a trip to the hilltop temple of Wat Phra That Doi Kong Mu (Doi Kong Mu is the name of the hill on which the temple stands). The temple is particularly atmospheric in the early morning with mist and low cloud often filling the valley below. By midday, the warmth of the sun usually clears the air to leave stunning views of the valley below and mountains beyond. There is a strong Burmese influence to Wat Phra That Doi Kong Mu. 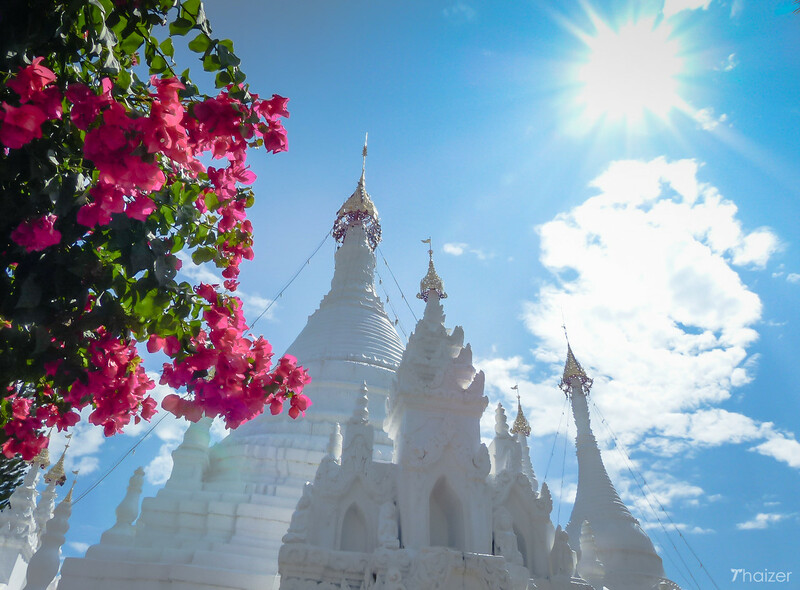 Formerly known as ‘Wat Plai Doi’, the temple has two Burmese-style white chedis (pagodas). 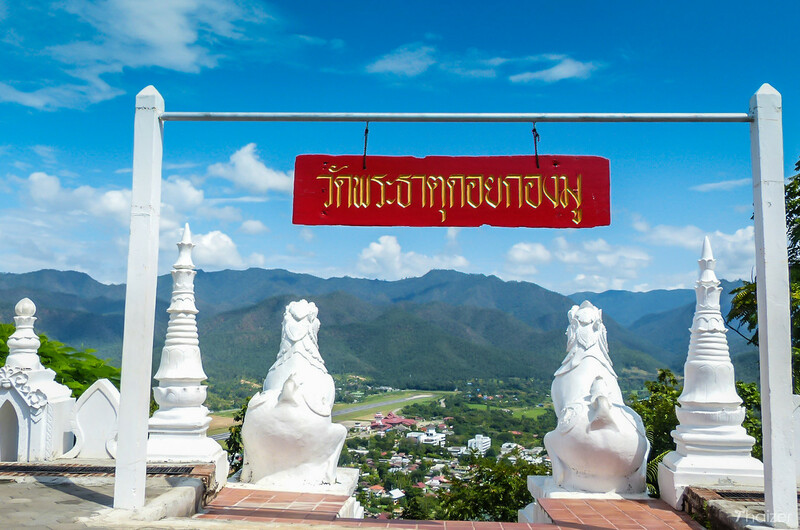 The larger of the two was built in 1860 and contains the relics of an important monk, Phra Maha Mok Kallana Thera, one of the disciples of the Buddha. 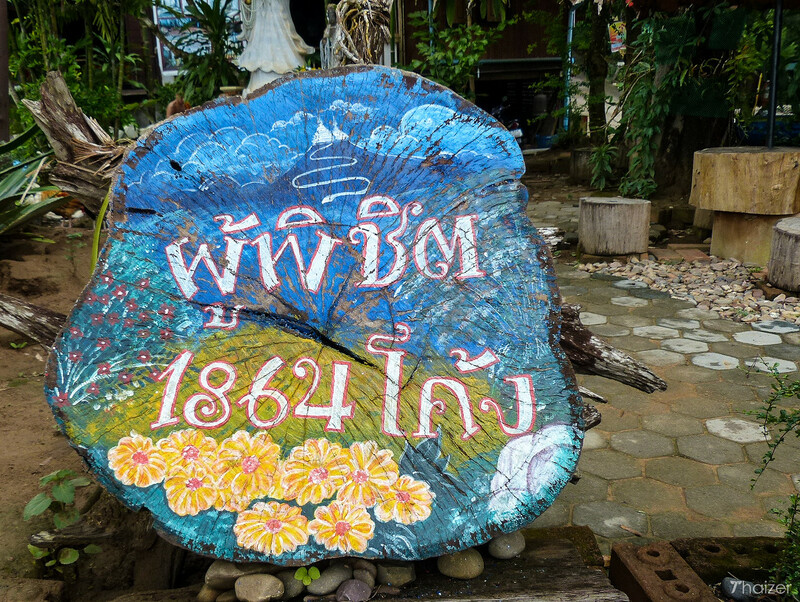 The relics were brought to Mae Hong Son by migrants from Burma who built the pagoda. 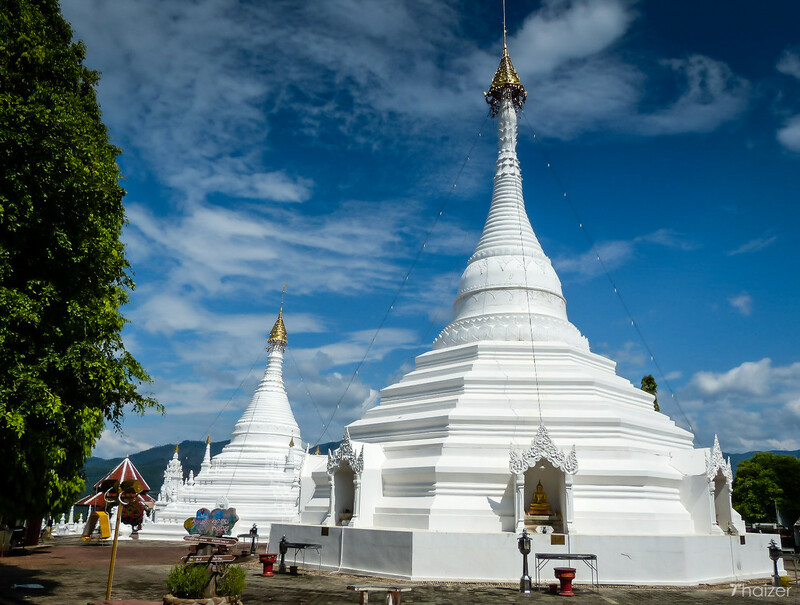 The smaller, second chedi was built in 1874 by Phraya Singhanat Racha, the first governor of Mae Hong Son. 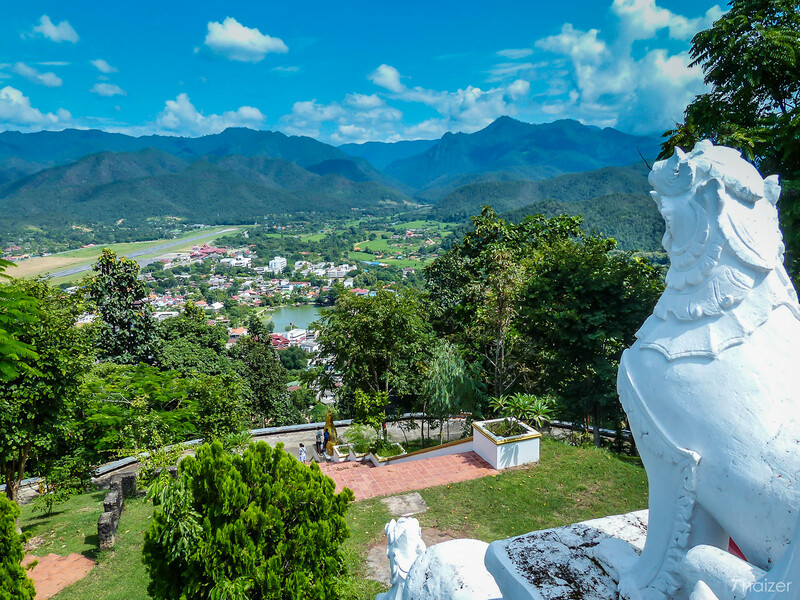 A statue of the governor is located at the foot of Doi Kong Mu. 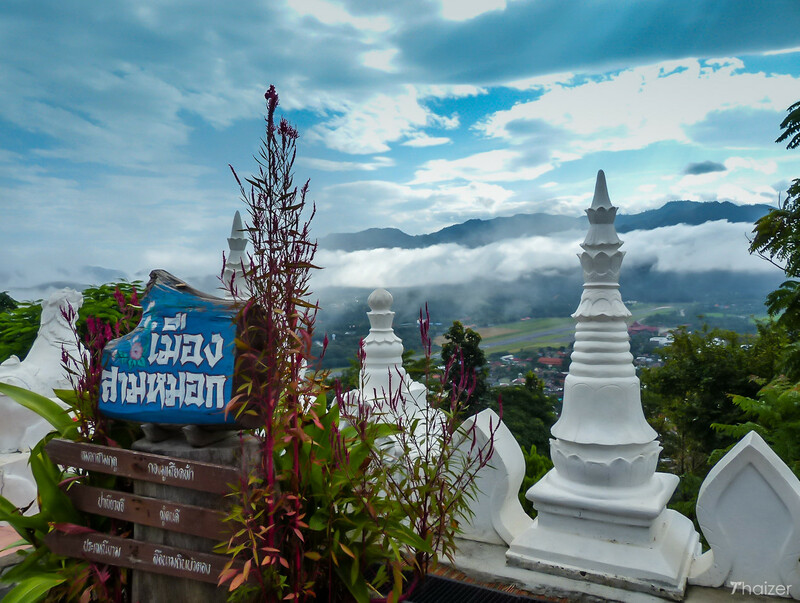 To the rear of the temple is a coffee shop with more sweeping views of the lush Mae Hong Son countryside. You’ll also notice the number 1,864 figures prominently on souvenirs for sale at stalls within the temple grounds. 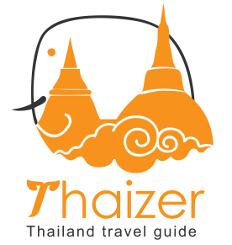 According to the Mae Hong Son Chamber of Commerce, there are 1,864 curves on Route 108, the highway from Chiang Mai province via Mae Sariang, to the top of Wat Phra That Doi Kong Mu. 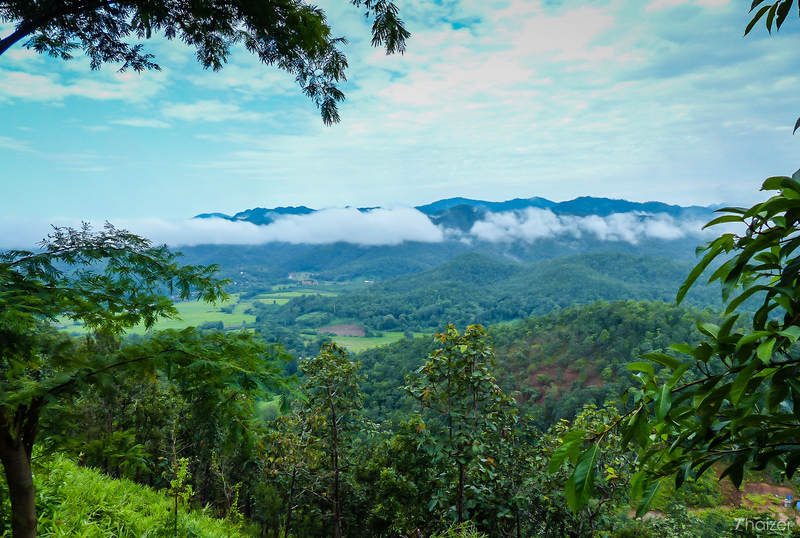 It’s possible to walk to the temple from the centre of Mae Hong Son town, but it will involve a fair amount of effort and shouldn’t be undertaken lightly. 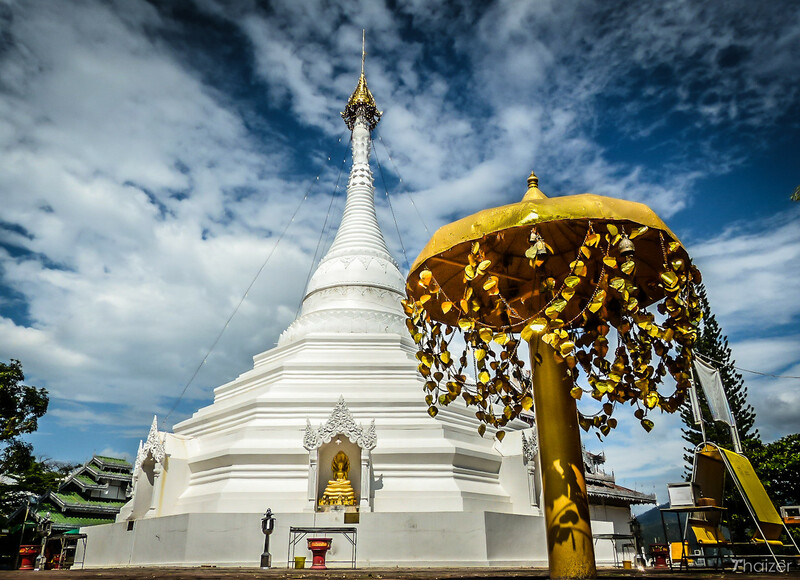 If you don’t have your own transport and don’t like the idea of a long and tiring walk, you can arrange to visit Wat Phra That Doi Kong Mu as part of a tour at any Mae Hong Son travel agency. You also have the option of negotiating with a motorbike taxi (usually found around the market areas in the centre of town) to take you there and back. 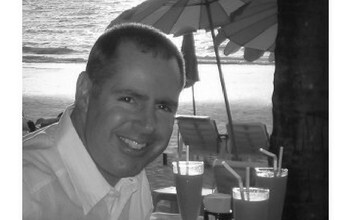 Expect to pay at least 100 Baht for a motorbike taxi.